It is time for the easy Halloween crafts from day 3 of Craft Lightning. Today we have some amazing quick crafts that can be made in 15 minutes or less. If you have missed any of the fun here this week, be sure to check out the round up from day 1 , day 2, and day 4. Kicking off day 3 is Let’s Eat Grandpa and some amazing hoop pumpkins. I love embroidery hoop art and this one is perfect for Halloween and all through the fall season. Painted rocks are a quick, easy, and inexpensive craft that the kids will love to help with. 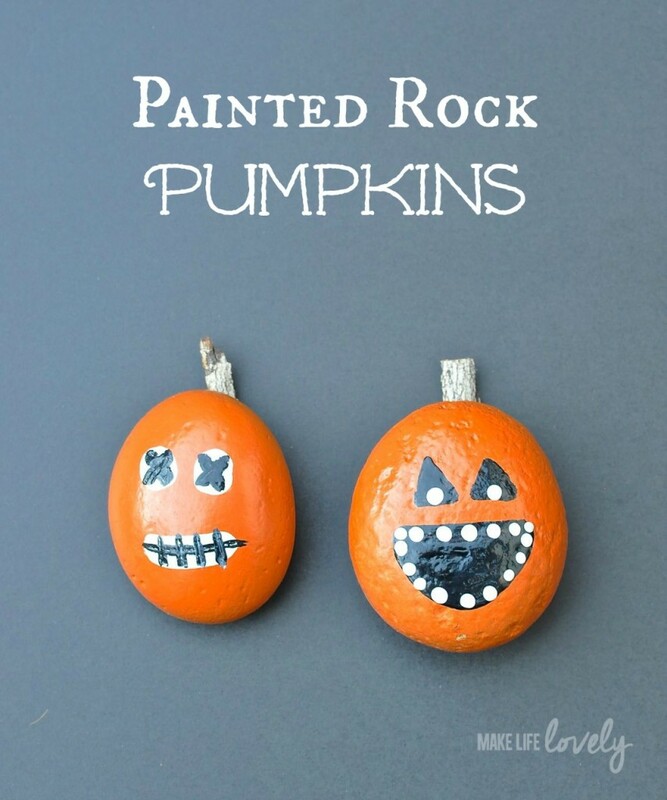 Make Life Lovely shows you how to make painted rocks that look like little pumpkins. So darn cute! Potion bottles anyone? I love decorating spooky for Halloween! 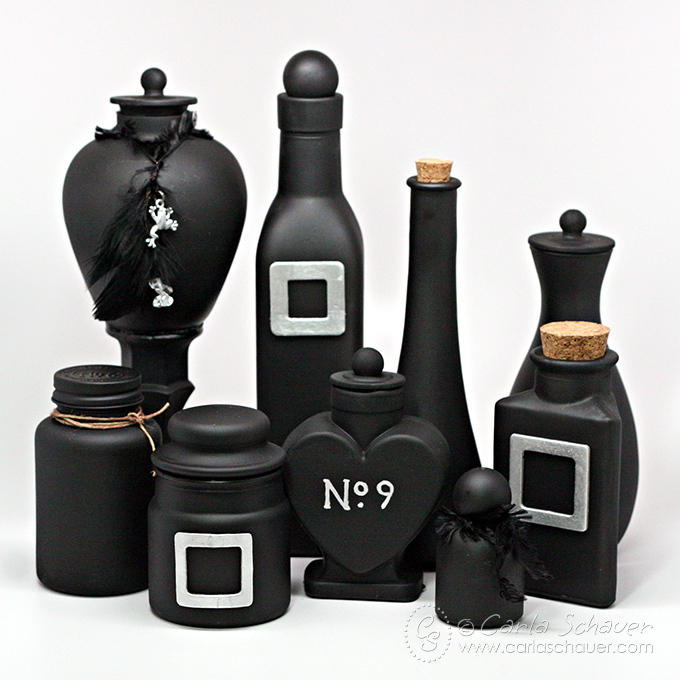 Make these potion bottles from Carla Schauer in just minutes and use them year after year to add some spooky to your Halloween decor. Glow in the dark is also a fun way to add some spooky to Halloween. 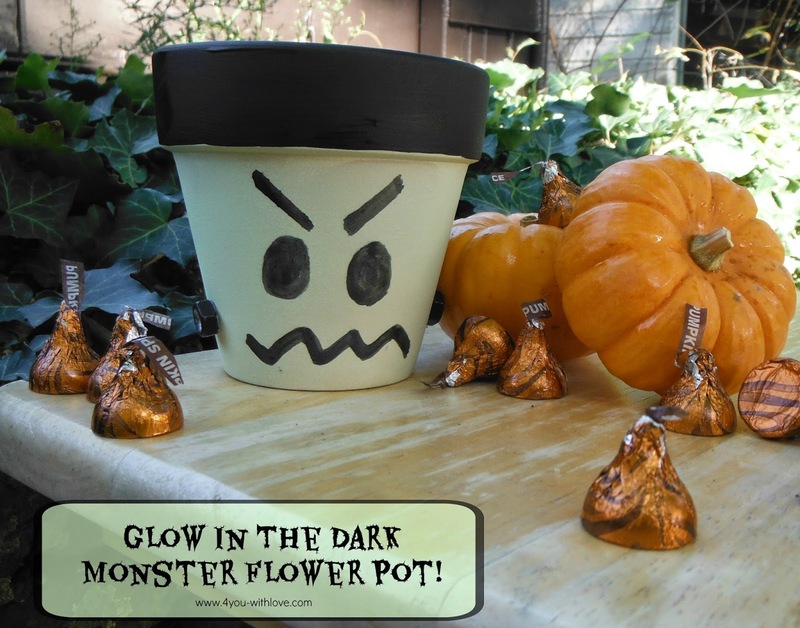 Add some glow in the dark spray paint to a flower pot like this one from 4 You with Love. Sometimes this simplest crafts are the best. Sticks from the yard. Check. Paper bats. Check. Learn how to cut the bats over at My Craftily Every After and add this to your home in the blink of an eye. 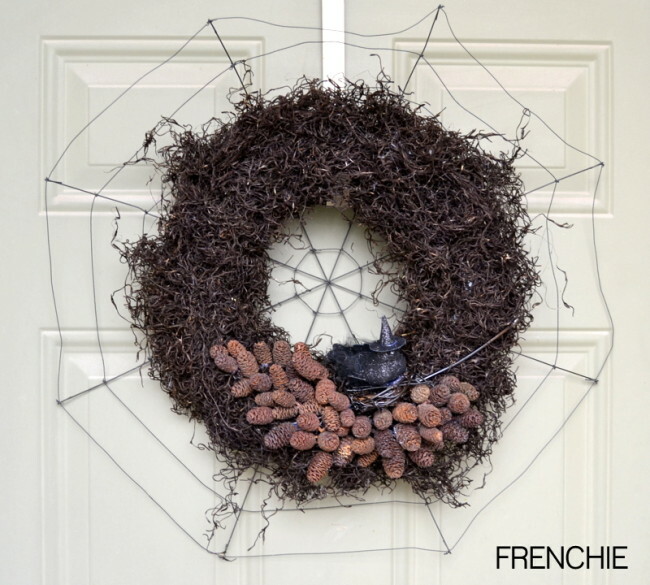 This next wreath I say is gorgeous but Frenchie calls it spooky. Either way. It is amazing! Click here to learn how to make this amazing Halloween wreath in just a few minutes. Spooky subway art with a little bling anyone? 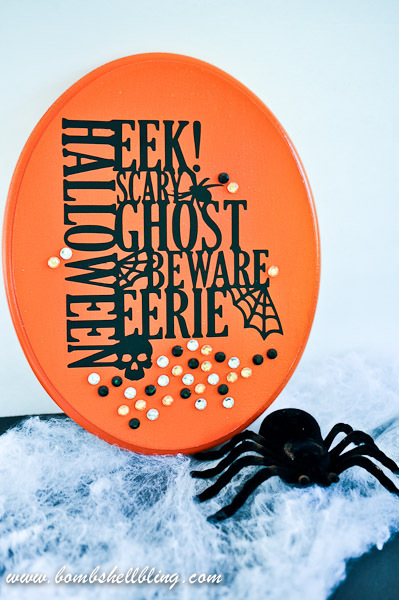 Bombshell Bling has you covered with this little Halloween plaque that anyone can make and enjoy. How about a quick and easy wearable craft for Halloween? 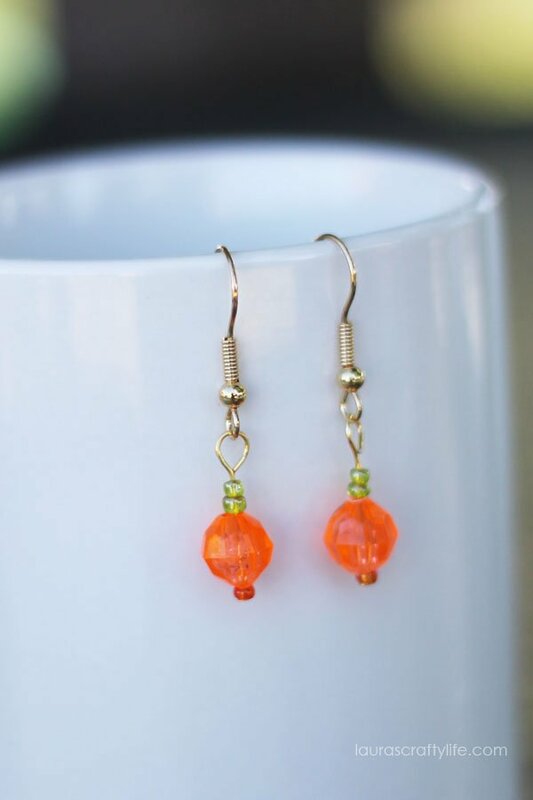 Head on over to Laura’s Crafty Life and learn how to make these little pumpkin earrings today. I love edible crafts so much! Especially around Halloween! 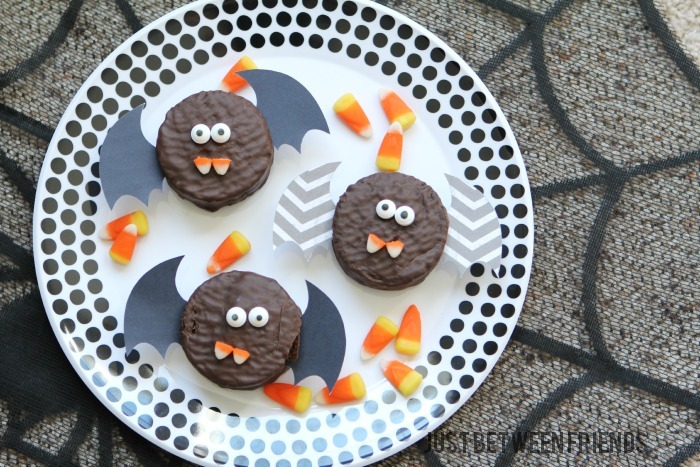 Give these edible bats from Just Between Friends a try with your kids. I bet this entire plate of bats will be gone as quick as you made them. 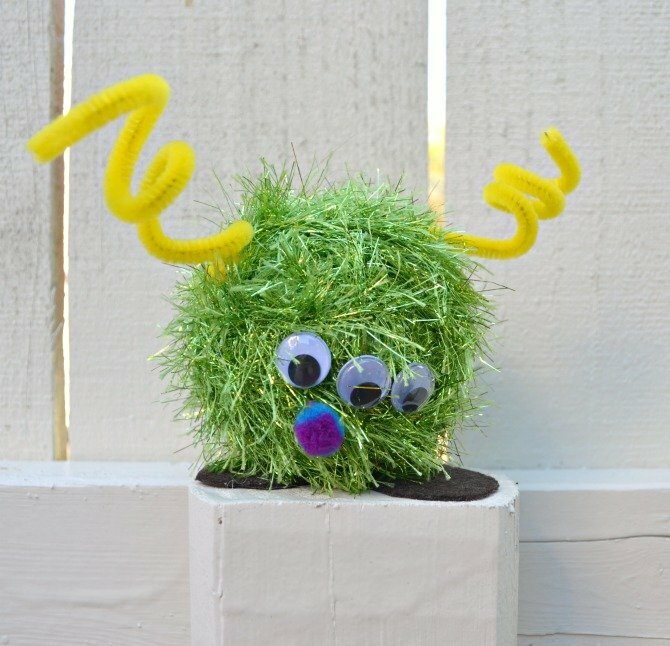 Let your kids help you make these fuzzy monsters from One Artsy Mama. I can see an entire line of these on my mantle for Halloween. I love to display the crafts my kids make. My partner for this series 30 Minute Crafts made a cute spider craft again today. 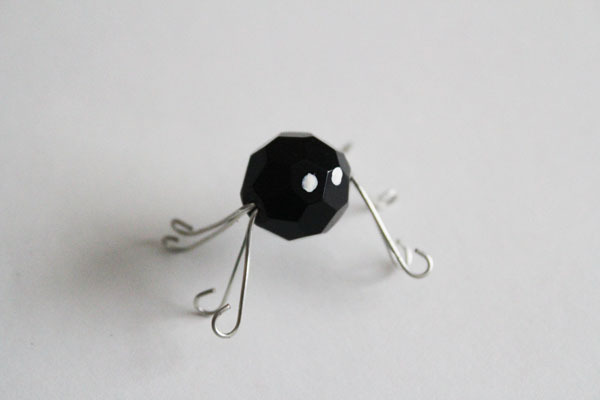 This time it is using a bead and is so super simple but too darn cute! Click here to see how to make your own. 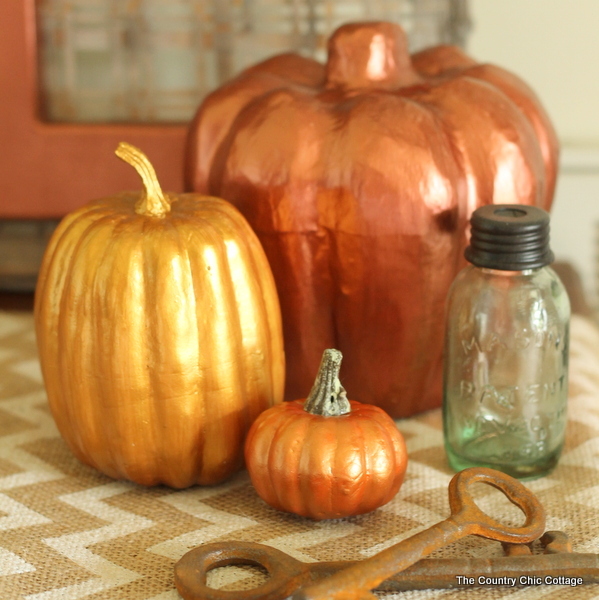 Just in case you missed it, I am painting pumpkins with metallic paint today. I love the shine on these! 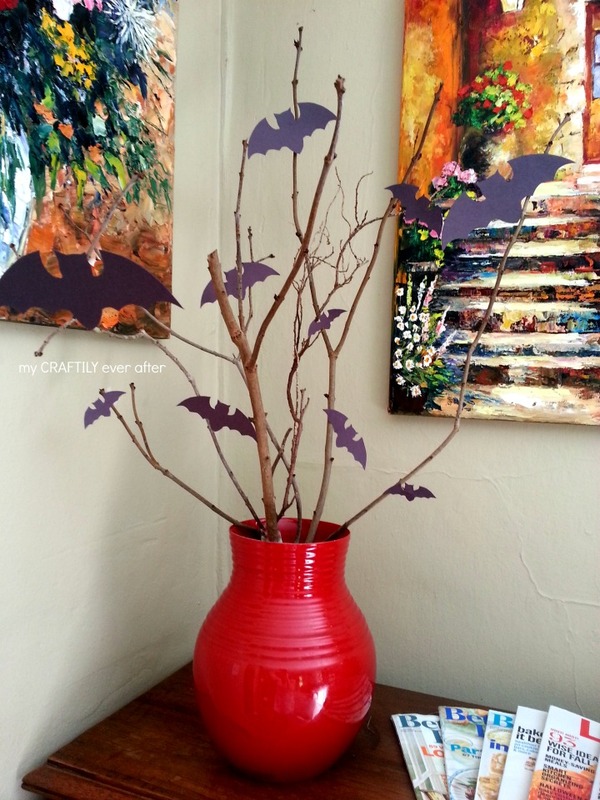 Love these easy Halloween crafts and want more? 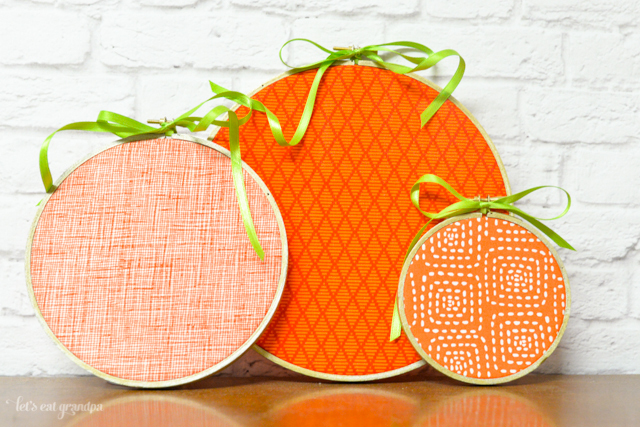 Be sure to follow along with our quick and easy crafts Pinterest board!